Proceeds in support of Chestermere Food Bank, Alberta Easter Seals and the Alberta Adolescent Recovery Centre. 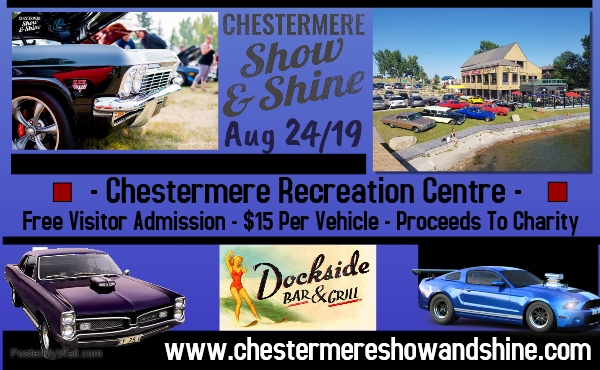 Lakeside Kruzers Cruise-Ins Moving To Chestermere Landing for the 2019 Cruise Season. Take a Cruise out to the lake this summer!